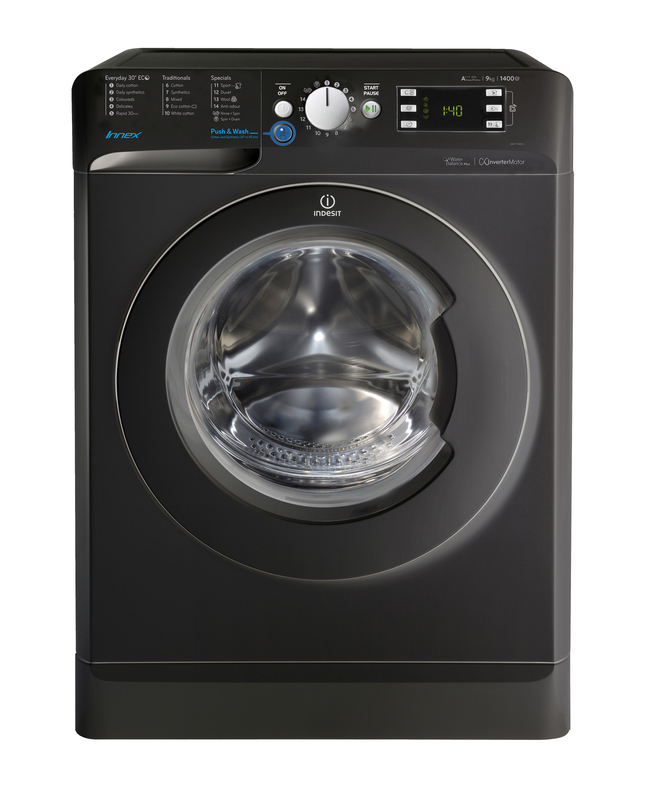 The Indesit Innex BWE 91484X K UK 9 kg washing machine in black. Including great capacity, 1400rpm, an A+++ -10% energy rating and programs to save you time, money and effort. Featuring our innovative Push & Wash program, it only takes one step to reach brilliant cleaning and stain removal in just 45 minutes - no need to pre-treat or scrub. 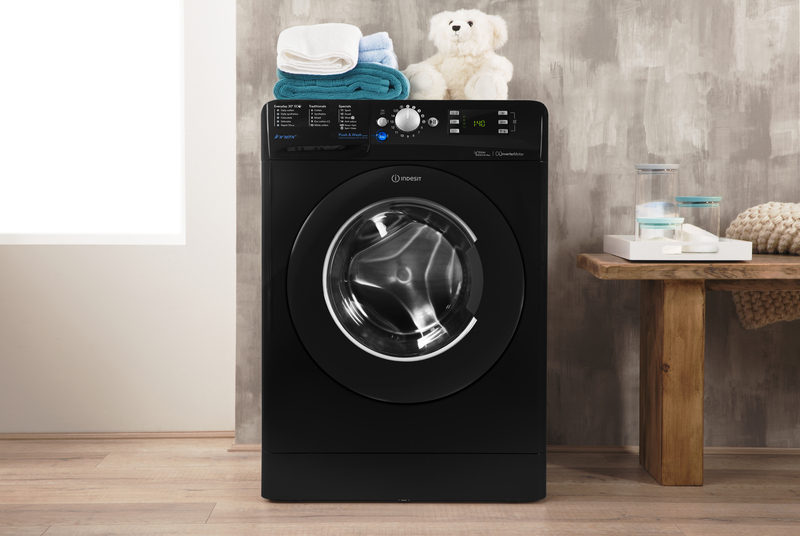 Just press the dedicated button for two seconds and the Indesit Innex will automatically start a 30°c cycle that's perfect for cottons and synthetics. For your regular wash cycles, explore Innex's range of Everyday Eco programs. Tailored for daily cotton, synthetic, colours and delicate washes, this model also features a Rapid 30 Minute freshen up for lightly soiled garments.